In conjunction with Undegun’s exhibition featuring Anna Rose Hamilton, whose work is displayed currently with Undegun. Anna’s work involves book manipulation with elements of hand embroidery. 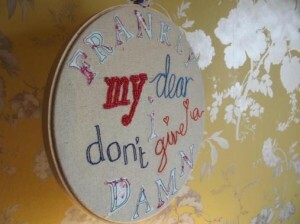 Undegun are proud to announce that there will be a beginners Embroidery Workshop for one day only, hosted by Anna. This will be a intimate class with only 10 spaces available. Within the workshop Anna will go through the basics of embroidery by teaching different sewing techniques and stitches. 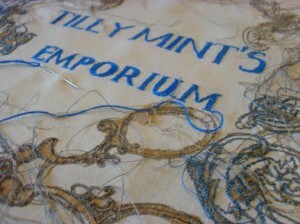 By learning the basics of embroidery it will help you to apply these skills to your projects at home. If you are interested in joining the Introduction to Embroidery workshop please email ASAP to contact@thisproject.co.uk as places are limited. « Congratulations to Josh Bowe – this fabulous work going down to London as part of the Signature Art Prize!